Age: ca 1865, Serial No. 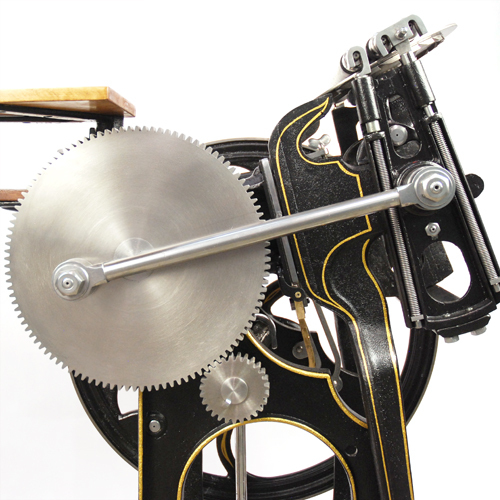 , Chase size: 7" x 11"
George Phineas Gordon, an American, is the acknowledged inventor of the world’s most successful platen press. 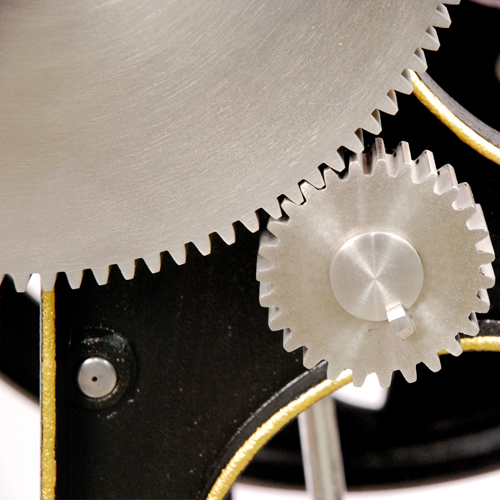 From Gordon’s early attempts to improve on Stephen Ruggles design, he was able to design a machine that caught fire around the civilized world. 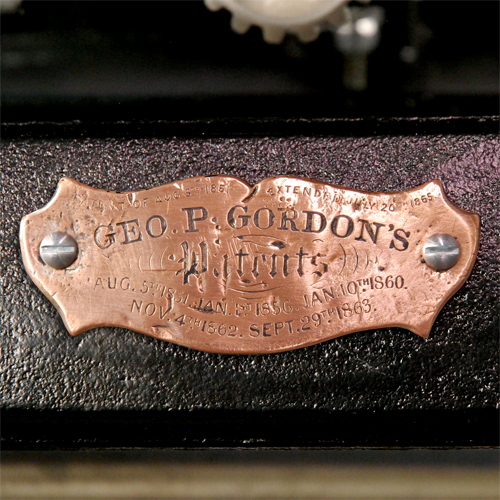 Copies of Gordon’s platen were made all over America and in Britain. 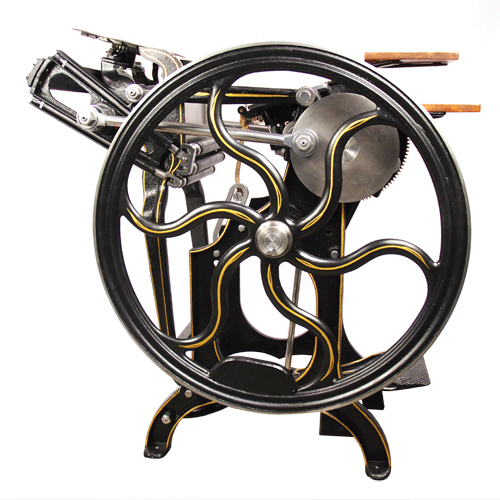 Gordon went on to have both the new and old style platen built, first by others then in his own works in New York City. After Gordon’s death in 1901, the business was sold to the Chandler & Price Co. of Cleveland where the old style Gordon was built while the new style was dropped. C & P went on to phenomenal success making the Gordon well into the early 1970’s. 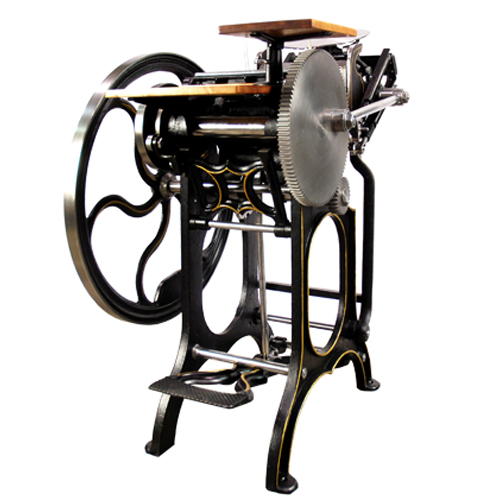 Every print shop had a platen. Such was the success of George Gordon. 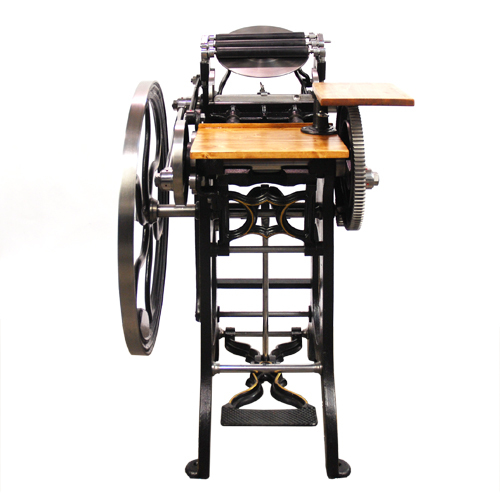 This machine, circa 1865, is of the Old Style design, which was more favored by users as compared to the New Style.